River Rehab was a client whose site was designed by another firm, but was hosted and maintained by us. 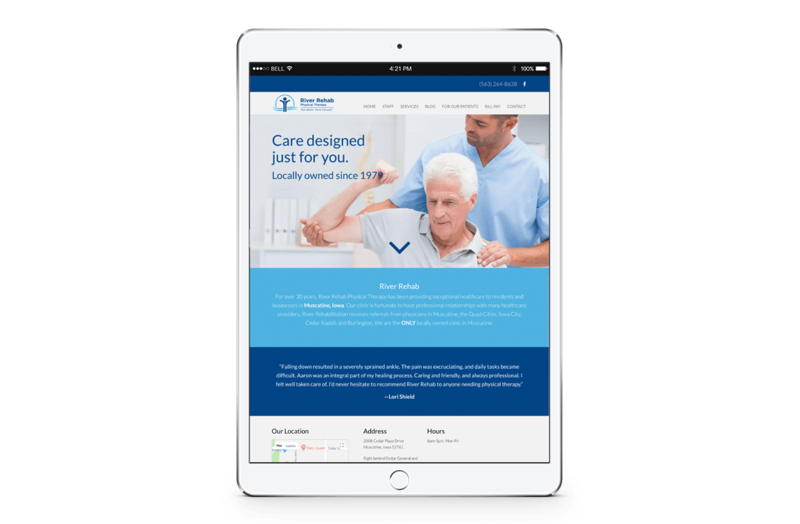 After a couple of years, they decided it was time to get a revamped look for the site so they could continue to look modern and professional, but also to reflect some of the changes their practice had undergone. 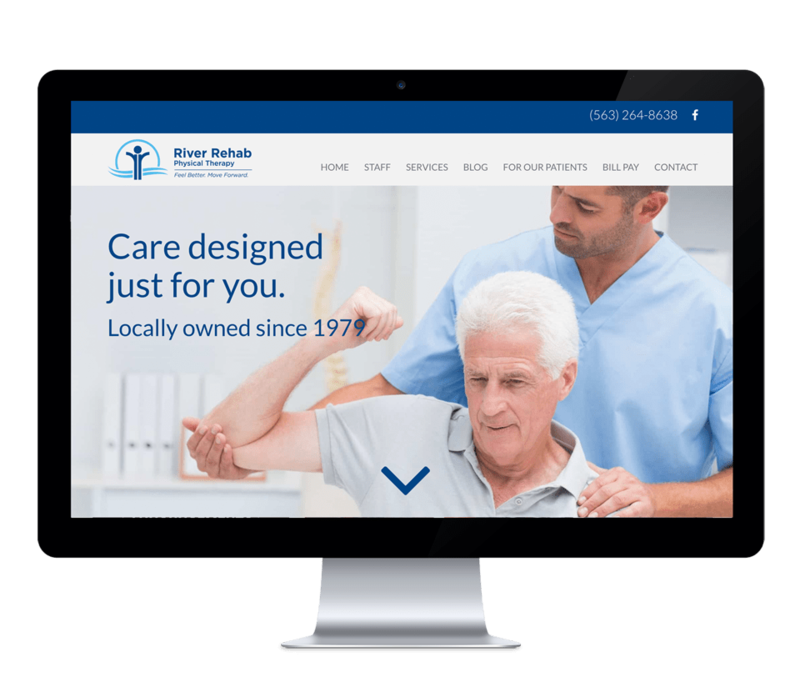 We aimed to highlight the high-quality, friendly service that patients receive at River Rehab, while also showcasing the fact that they are the only locally-owned physical therapy clinic in the area. 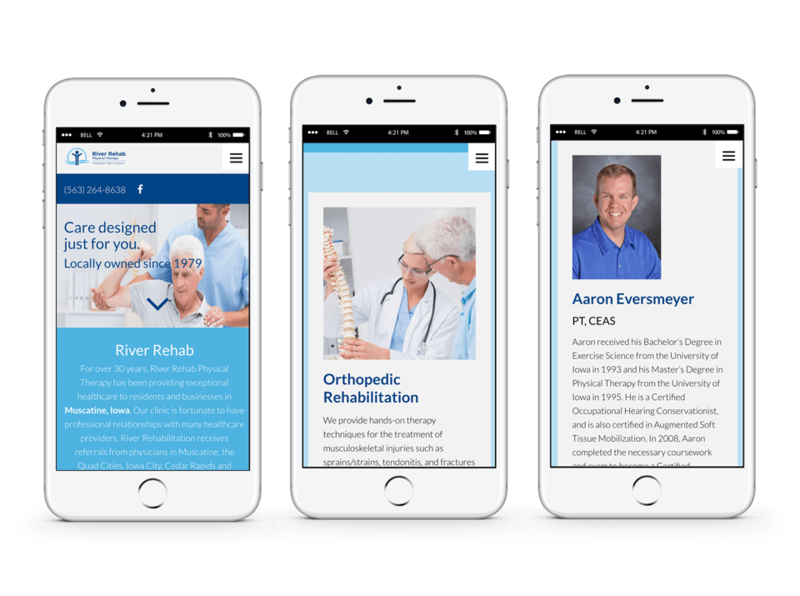 River Rehab ended up with a site that showcases their longevity, professionalism, and extensive experience while also conveying the fact that they are a modern, thriving, and ever-evolving practice. We stuck with a similar color theme to maintain the familiarity they’d developed with their clientele and community, and paired it with a modernized look and feel.